IMC offers second mortgage loans and mezzanine financing products for all asset classes across Canada. Our mezzanine loan program provides borrowers with higher leverage on stabilized properties, financing for transitional properties and other forms of non-traditional real estate financing. 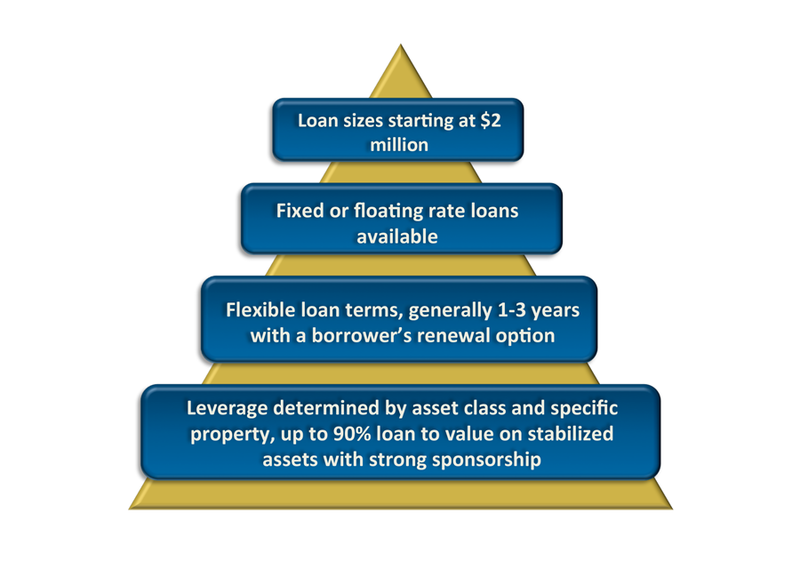 In addition to second mortgage loans, IMC also provides financing further down the typical real estate capital structure, including loans secured by pledges of equity interests (shares, co-ownership and LP interests) of real estate entities, and unsecured (covenant based) loans to certain credit qualified real estate entities.